Megan Fox’s hero distressed final battle costume worn as “Mikaela Banes” from Transformers: Revenge of the Fallen. (Paramount, 2009) Distressed and dirty white denim jeans, pink top,Flower patterned bra, white & pink patterned jacket, pair of brown leather boots with straps, brown leather belt, and string necklace with silver pendant. Worn by Megan Fox as “Mikaela Banes” during the Eqyptian desert battle sequences. 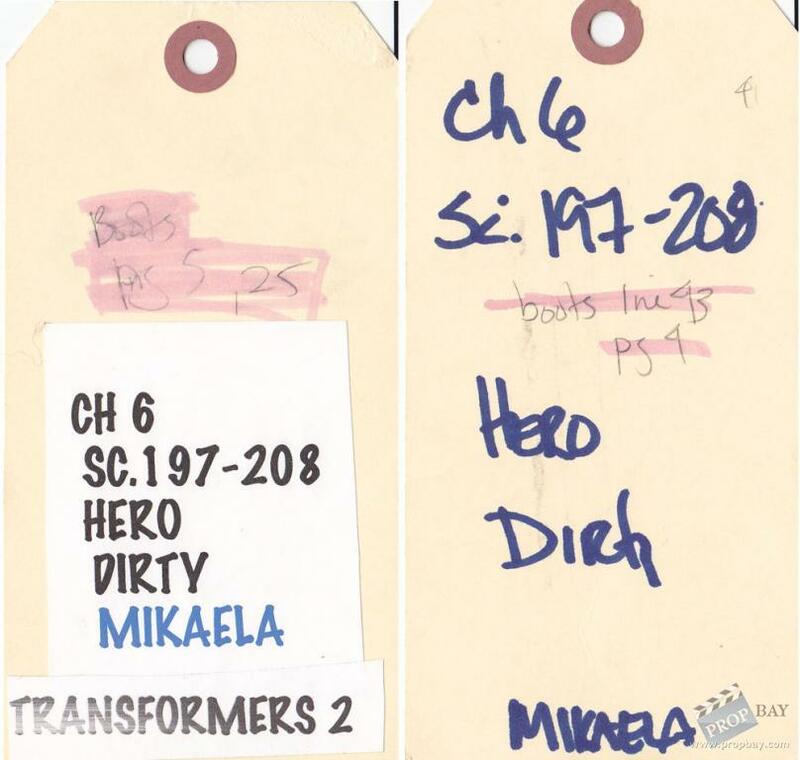 Includes the original costumer’s tag labeled “HERO DIRTY MIKAELA.” A clean set of this costume is initially seen in the Smithsonian scene and Fox wears this combination for the rest of the film, with this distressed version at the end. Comes with a certificate of authenticity from Bay Films/Paramount Pictures. Added: 02-01-2011 - Viewed: 3129 times.